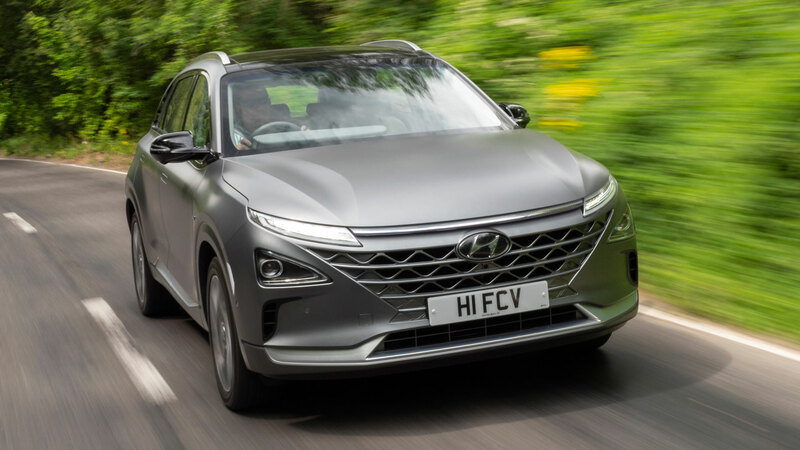 The Hyundai Nexo hydrogen fuel cell vehicle is now available to order directly from Hyundai Motor UK, priced at £65,995 after the government Plug-in Car Grant (PICG). 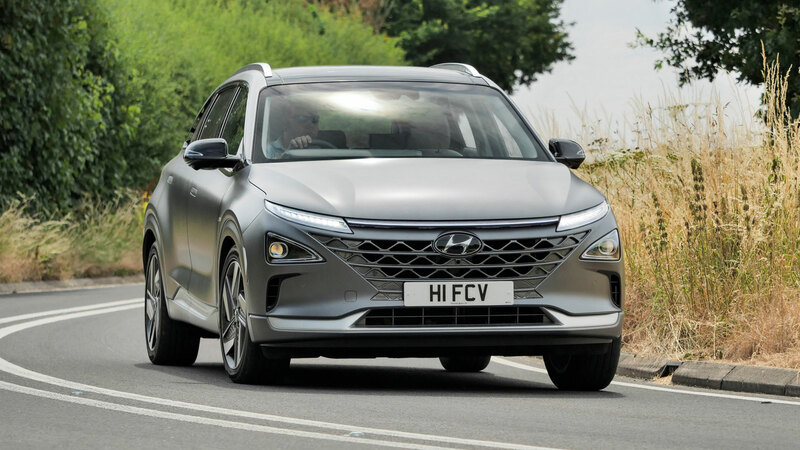 This is Hyundai’s second-generation hydrogen fuel cell vehicle, with the Nexo offering a WLTP range of up to 414 miles on a combined cycle. The Nexo combines oxygen from the surrounding air and hydrogen from high-pressure storage tanks to create a flow of electrons that powers the drive motor and charges the onboard battery. The Nexo’s only emissions are harmless water vapour and it takes just five minutes to refuel the three hydrogen tanks. Unfortunately, the UK’s hydrogen fuel-station network is rather small, although it’s possible to locate your nearest station using Zap-Map. The exterior of the Nexo has been designed to minimise drag, with curtain intakes on the front bumper ducting air over the aerodynamically designed front wheels, flush door handles that retract into the doors, air tunnels around the D-pillar, and a ‘hidden’ rear wiper blade that retracts underneath the rear spoiler when not in use. A fully enclosed underside and front and rear wheel air deflectors complete the aerodynamic package, helping the Nexo to achieve a drag coefficient of just 0.329. Premium SE is the only trim level available, with Nexo owners treated to 19-inch alloy wheels, LED headlights, heated and ventilated front seats, heating for the outermost rear seats, dual-zone climate control, sunroof, heated steering wheel, wireless charging points and an electric tailgate. Entertainment and connectivity are provided via a 12.3-inch touchscreen infotainment system, Apple CarPlay, Android Auto and tablet-style pinch and zoom functionality. Driver assistance features include adaptive cruise control, remote parking assist, lane-keeping assist, autonomous emergency braking, blind spot detection and rear cross traffic alert. The Nexo was awarded a five-star Euro NCAP safety rating in 2018. To further enhance its green credentials, the Hyundai Nexo was also awarded the UL Bio Environmental Seal for the use of bio fibres from sugar cane waste and vegetable plasticisers in the headliner and carpet, bio plastics from sugar cane and corn waste in the door, seat, pillar and console trims, and bio paint extracted from rapeseed and soybean oils for the dashboard and centre console. 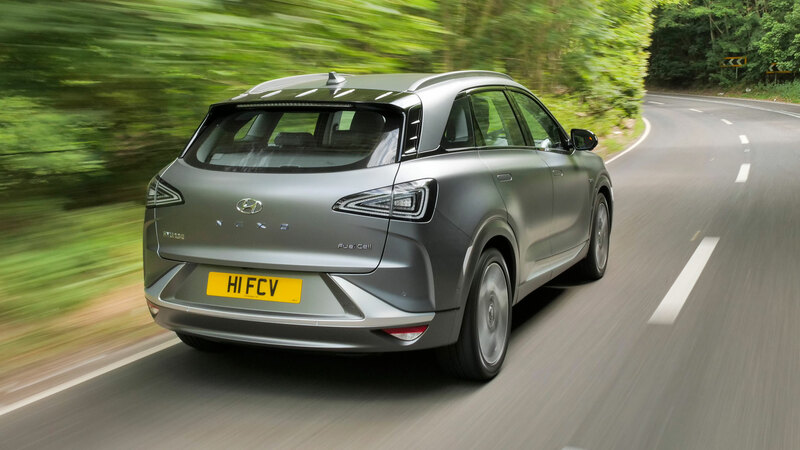 Ashley Andrew, managing director, Hyundai Motor UK said: “Hyundai will always be proud to have been the first manufacturer to bring a commercially available fuel cell electric vehicle to market with the ix35 Fuel Cell. “Nexo re-positions our status as market leaders by combining its cutting edge powertrain with a bespoke, stylish body and comfortable and technically advanced interior.